One size does not fit all. That’s a myth, especially true when it comes to mattresses. They might look similar, but underneath the surface there’s dozens of components that determine the comfort level and durability of a mattress and its suitability to your weight, height and shape. Have no fear! Here we peel back the layers of what goes into a mattress to help you find the perfect one. It’s a worthy exercise for everyone who values a night of great, restorative, health-boosting sleep. Innerspring mattresses. These mattresses use a network of steel spring coils to provide support. The springs might be tied together into a single unit or each one may be individually wrapped. 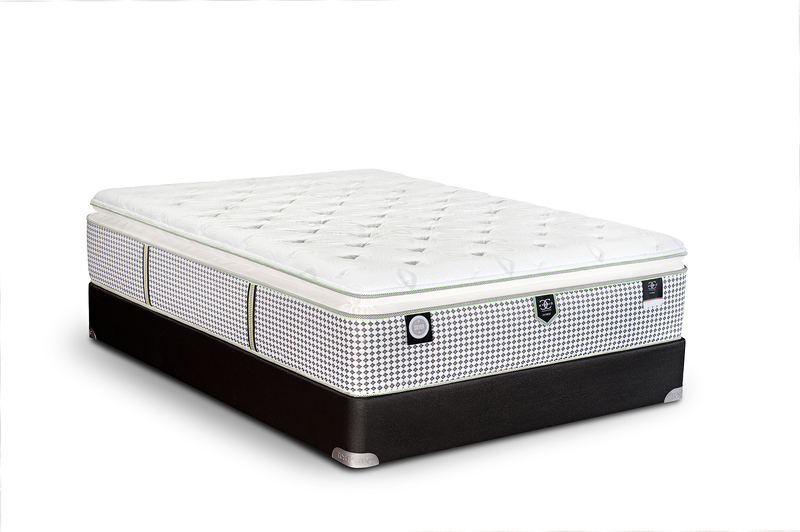 When shopping for this type of mattress, you may hear something about coil gauge. That refers to the thickness of the wire used to make the springs. The lower the number, the thicker the spring and the firmer the support. Gauge numbers for mattresses usually go from 12 to 18. It’s an important factor, but just one of many to be considered in your purchase. Learn more about innerspring mattresses. Memory Foam mattresses. A layer of memory foam can reduce pressure points, which softens to the contours of the body and can assist with good blood flow during sleep. It’s a remarkable material because it facilitates a healthier sleep environment, thanks to its anti-dust mite and anti-microbial properties. For anyone with allergies or breathing issues like asthma, it’s a good option. 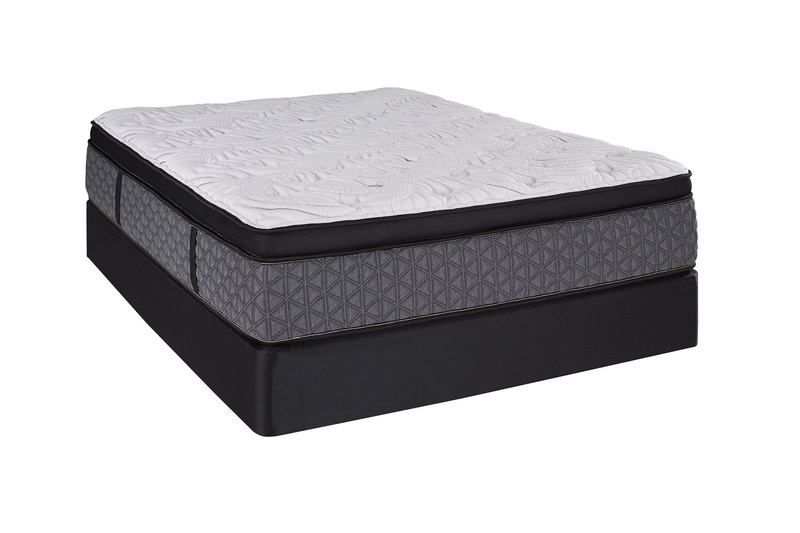 Newer types of memory foam are gaining popularity. Foam with an open cell structure helps eliminate some of the heat retention that many sleepers don’t like. Improving airflow keeps the foam cooler. 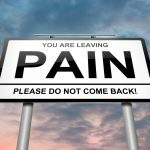 Gel memory foam has even more pressure point reducing powers that regular memory foam – something that would appeal to those with arthritis or joint issues. Learn more about memory foam mattresses. Latex mattresses. Mattresses made from latex are gaining popularity. Sleepers adore them because of their comfort, breathability, superior bounciness and responsiveness, i.e. how quickly it springs back after pressure is applied. For those who like to keep it natural, latex is appealing since it’s created with a white liquid extracted from rubber (heavea-Brasilenis) trees. Most latex mattresses are made with a combination of natural and synthetic latex to improve comfort and longevity. 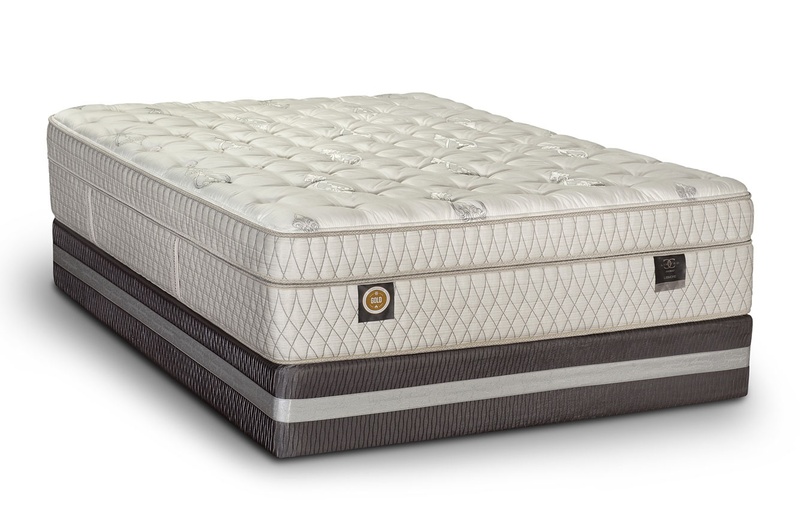 Learn more about latex mattresses. Hybrid. The good news is that you don’t have to declare allegiance to innerspring or foam mattresses. You can compromise with a hybrid that combines the best qualities of the two types. 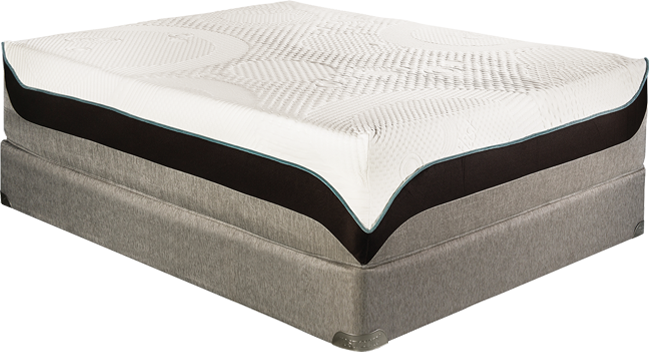 Coils are topped with a layer of foam, which helps with motion isolation – something that minimizes the motion you feel when your bedmate moves. Learn more about hybrid mattresses. Keep in mind that regardless of what kind of mattress you buy, your main goals should be comfort and proper spine alignment. For thinner body types, softer mattresses are the best choice. A too-firm mattress may lead to shoulder pain or a pins-and-needle sensation. A softer mattress also prevents the body from sinking into the mattress enough to ensure good spine alignment. Anyone who weighs more than 230 pounds needs to strike a balance between softness and firmness. Thicker mattresses offer extra cushioning between sleeper and coils, but if they are too soft and there may be too much sinkage, putting stress on shoulders and hips. That can lead to back problems because of an increase in spine curvature and excessive pressure on muscles and joints. Thicker mattresses (12 to 13 inches in height) are considered appropriate for heavier individuals. Chose a mattress with high density foam, especially good for stomach or side sleepers (not recommended because of its propensity to curve the spine and require sleepers to turn their heads to breathe). For those who tend to sleep hot, cooler hybrid mattresses are a good bet. Standard mattresses just don’t cut it for some tall people. Since even King size mattresses max out at 80 inches long, six-foot-plus sleepers may be forced to spend the night with their feet dangling off the side of the bed or to curl up and sleep on their sides. The good news is that some mattresses come in super-sized XL versions, from twin to king. A California king is the longest (and widest) mattress you can buy without opting going the custom-made route. It’s 7 feet in length, which works well for super-tall types – and those who like to roam around their mattress during the night. A California queen takes up less space, spanning 60 inches by 84 inches. Those two sizes are suitable for those around 6’5” to 6’11”. A full XL or a twin XL is a more modest 80 inches in length. Two key pieces of advice: Skip bed frames with side rails and take the time to bed test various-sized mattresses to get the best fit. Pregnant women tend to feel warm, making choosing a foam an important consideration. A gel-based one is a smart pick since it has less heat retention, allowing mom to get more uninterrupted sleep at a crucial time in her life. Expectant moms should sleep on their sides with knees and hips bent to alleviate lower back pain. A pillow between the knees can also help reduce back aches. A mattress with medium firmness is preferred over ultra-soft memory foam beds. Sinking deeply into that type makes getting out of bed – sometimes pregnant women do often in order to use the bathroom – more difficult. Find a happy medium between firm and soft to make both mom and baby content.